Description: THIS IS A COLT MODEL 1905 AUTOMATIC PISTOL, .45 ACP. THE PISTOL IS IN COLLECTOR CONDITION. IT HAS BEEN PROFESSIONALLY RESTORED USING ALL OF ITS ORIGINAL PARTS. NUMBER MATCHING, VERY GOOD BORE AND GRIPS, MECHANICALLY CORRECT AND TIGHT. THEY DON'T COME BETTER THAN THIS. NOTE: COLT MODEL 1905 WAS THE FIRST COLT SEMI AUTO .45s TO BE MADE. 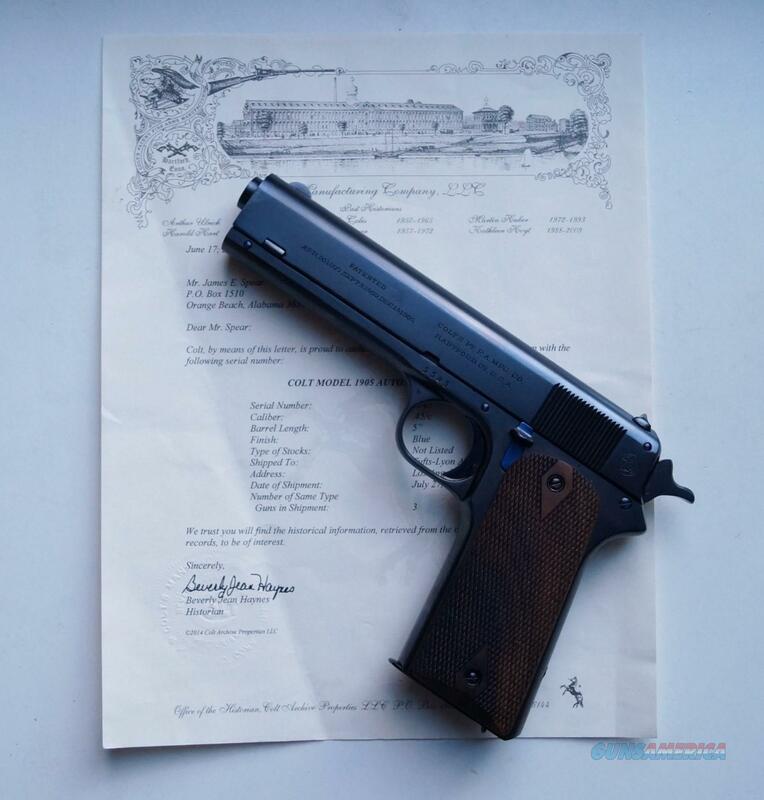 A COLT LETTER OF AUTHENTICITY COMES WITH THE PISTOL.